Amy and I had gotten ready the next day earlier than the rest of the group. We left Laura getting ready in the hotel room and who knows what the married couple were doing – perhaps wringing themselves out from being a wet blanket? During our wait Amy and I walked over to the Paris Hotel and took the Eiffel Tower Ride to the top. 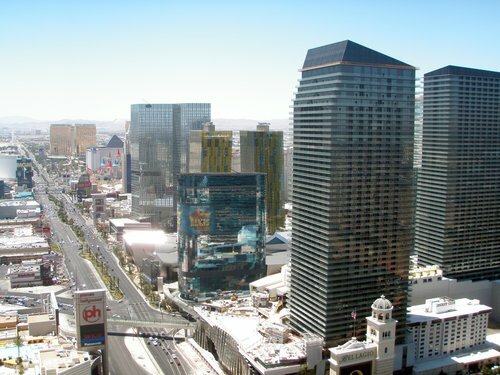 I am not normally afraid of heights but as we were in the elevator climbing the 46 stories, my stomach got a little weak. Once outside I felt better but we were really high up. I can only imagine what the real Eiffel Tower must be like. 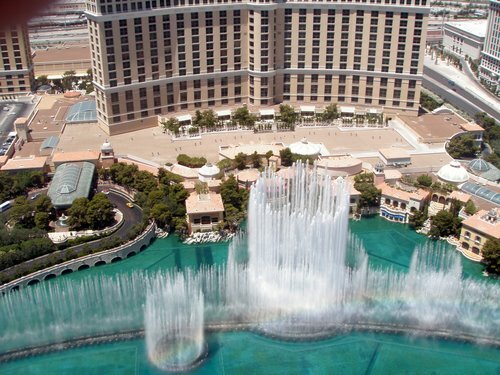 It was definitely an impressive site of the Vegas strip and we were able to catch the fountains again at the Bellagio, I had read that this was “the” spot to watch them at night. 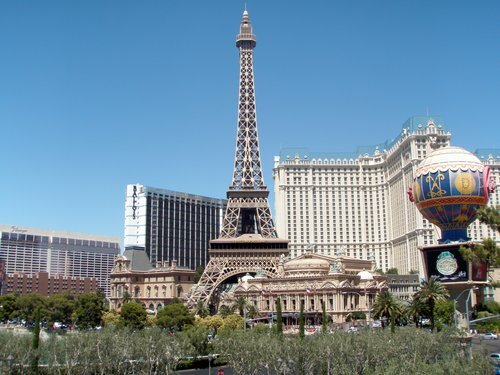 The Eiffel Tower Ride is located in the Paris Las Vegas Hotel. Operating hours are 9:30 am to close. Prices vary based on what time of the day it is. Morning prices are $11.50 for adults and evening prices for adults are $16.50. The ride is also weather permitting, although you are in the desert so I would assume it does not get shut down often. We met up with Laura where we decided to head off to The Valley of Fire. The married couple spent the day at the pool as they did not want to spend another day in the desert. No one seemed to mind their absence. 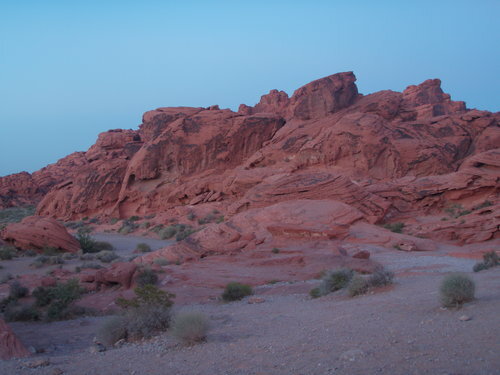 The Valley of Fire had been a suggestion to Laura from a family member and what a great suggestion it turned out to be. I actually enjoyed myself more here than at the Grand Canyon West. 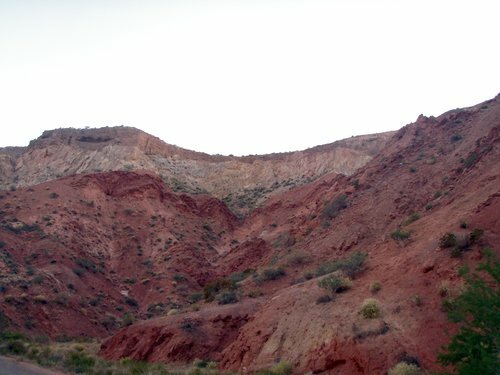 The vivid red sandstone hills lined the paved path as we navigated around the park. It was stunningly beautiful. We arrived after the visitor center had closed (the park is a ways from Las Vegas). Also after looking at my photos when I got home I would also suggest going before you loose the natural light. My photos in no way do the area justice. It is a beautiful park and I recommend it to anyone visiting the area. A small fee of $10 got us into the park. The park is open 24 hours a day, but the visitor center is open 8:30 am to 4:30 pm. Dogs are allowed in the park but with the high temperatures in the area I would suggest leaving Fido at home. 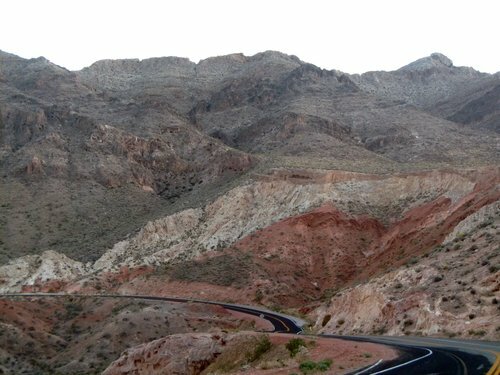 To get to the Valley of Fire from Las Vegas head north on I-15, taking exit 75. It is 56 miles north of Vegas or about an hour driving. Tagged Eiffel Tower Ride Las Vegas, Paris Hotel Las Vegas, State Parks Nevada, The Valley of Fire State Park. Bookmark the permalink.